There was a great turn out last night. About least sixty people came from those we invited and a couple of people wandered in from Bastile because they had just come from another vernissage. 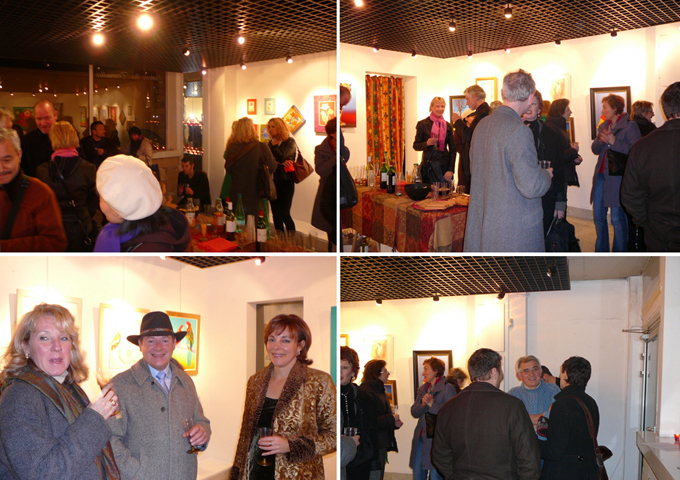 Thursday is a very popular evening for exhibition openings. Thanks to everyone who came. It was a great evening. Not easy being the host and answering questions and pouring wine all evening, all at the same time. Perhaps next time I'll get someone else to take care of the wine and food side of things.